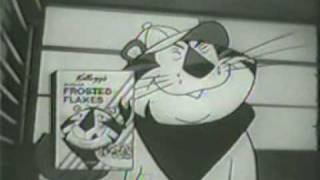 Kellogg’s They’re G-r-r-reat campaign officially introduced Sugar Frosted Flakes (later Frosted Flakes) to the world, along with Adland’s classic cat, Tony The Tiger. 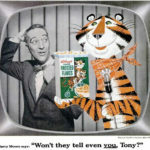 Originally designed in 1951 by illustrator Martin Provisen and helmed by agency Leo Burnett Co., Tony the Tiger’s sole purpose has been to attract children to the brand, and it has not wavered. Tony’s can-do and chipper attitude is infectious. It motivates us to be great in everything that we do and to treat ourselves along the way. Since day one, Kellog’s has promoted this product as the perfect combination between being healthy and delicious. 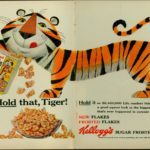 Their number one marketing technique has been based around Frosted Flakes’ ability to give you energy by supplying the right amount of sugar and nutrients. No matter how much you have matured, resisting Frosted Flakes will always be a challenge because it lets you relive your childhood every time you have a bowl. Many cereals have come and left, yet this iconic brand stands on its own by reinventing itself time after time. Like most of us, Tony has gone through a series of cosmetic changes to stay hip by following the trends. The most notable change occurred when Tony’s football shaped head was altered to be more round and inviting. This was followed by a slight face-lift that revealed a more defined look that included contours of his cheekbones. In addition to the change in looks, Tony has evolved from being a character that walks on all fours into an athletic individual with a strong physique and upright stance. This was motivated by the growing trend of dads buying groceries in America. Leo Burnett realized that this was an opportunity to speak to fathers by targeting them through sport outlets like ESPN, and creating a connection between sports and dieting for children. 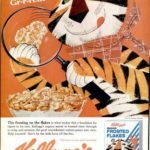 As mentioned above, the original name for this cereal was Sugar Frosted Flakes but later changed to Frosted Flakes. 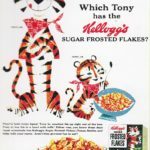 With regulations enforced by the Better Business Bureau (Children’s Food division), brands were prohibited from marketing directly to children and promoting sugar based packaged goods. Hence, targeting the new found primary household shoppers: Dads. Over the years, Tony's family was introduced, including Mama Tony; his wife, Mr. . Tony; his daughter, Antoinette; and son, Tony Jr. — but only Tony remains. 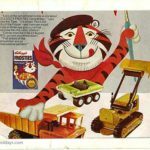 An ad encourages you to "put a tiger on your team"
« Remember When “Whassup?” Became Budweiser’s Ode to a Generation?